Georg Vrachliotis Mr. Quast, you are originally from North Rhine-Westphalia and moved here to Mannheim after graduating in law studies. Five years later, in 1989, you were elected the city’s Mayor for Planning. Can you remember your first ever visit to the Multihalle? Lothar Quast Good question … To be honest, I can’t say exactly when I first went to the Multihalle. But I do remember that I was extremely impressed by its unique architecture. I also recall a number of interesting events in the main hall, where all kinds of different cultural and sports events were held in the 1990s. Georg Vrachliotis As far as I know, you are Germany’s longest-serving head of municipal building and planning, and have been engaged in many major urban development projects over the past two decades. What makes the Multihalle so special for you personally? Lothar Quast On the whole, not only for me personally, the Multihalle has a special meaning for Mannheim’s urban development. It stands symbolically for the city’s transformation into an innovative, modern, and architecturally sophisticated city. The Multihalle is a unique architectural cultural heritage! And we are presently experiencing how it is inspiring architects, urban planners and academics from all over the world, as well as Mannheim’s own citizens. Georg Vrachliotis Would you agree with me that, from an architectural-historical viewpoint, the Multihalle is Mannheim’s most important modern monument? Lothar Quast Yes, and I expect that many others share that view, too. 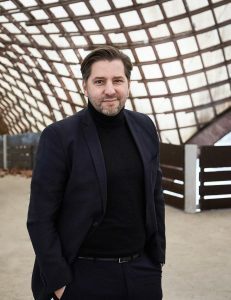 Markus Müller, president of the Baden-Württemberg Chamber of Architects, for instance, pointed out that the Multihalle has a similar potential for Mannheim as the Eiffel Tower has for Paris, both having initially been built as temporary structures. Professor Stephan Engelsmanns, president of the Baden-Württemberg Chamber of Engineers, even described the Multihalle as the most important building of all in Mannheim. What is undisputed is that with Frei Otto we had one of the most renowned architects of our time working in Mannheim. He was also a winner of the Pritzker Prize, one of the world’s most prestigious architecture prizes. Lothar Quast I think that Mannheim’s citizens are increasingly understanding the significance of the Multihalle and supporting the cause of its renaissance. That of course means people recognising and using its potential for and at events. This is what we are trying to achieve this year with the Sharing Heritage programme. The BUGA 75 exhibition at the MARCHIVUM [Mannheim archive] will certainly also play a role. Georg Vrachliotis Starting on 24 March, the exhibition “A festival transforms the city” will examine the significance of the 1975 BUGA, the National Garden Show, for Mannheim. How, do you think, can the concept of garden shows also be used with the upcoming BUGA 2023 to drive Mannheim’s urban development? Lothar Quast The BUGA ’75 in Mannheim counted more than 8.1 million visitors, making it one of Germany’s most successful National Garden Shows. It had a sustainable effect on Mannheim’s modern urban development as it involved, among others, improvements to Luisenpark and Herzogenriedpark, the telecommunications tower, the pedestrian zone, along with the creation of the Herzogenried residential area and, of course, the Multihalle. A versatile programme of events and attractions such as the Aerobus, which provided a direct connection between the parks, added to the Show’s success. The Multihalle, with its futuristic wood construction, was an architectural highlight. Mannheim will host the BUGA again in 2023, with its theme once more focussing on the transformation from an industrial city to a green city. Georg Vrachliotis The Multihalle was a collaboration between Mannheim architect Carlfried Mutschler and Frei Otto, whom Mutschler invited to develop the roof construction. How would you estimate Mutschler’s role in Mannheim’s urban development? How has he made a lasting impact on the cityscape? Lothar Quast Carlfried Mutschler left his mark on Mannheim with a number of remarkable buildings. Back in the 1960s he demonstrated his exceptional architectural skills with the organically shaped Friedrich-Ebert School, the glass Pfingstberg Church, and the Lukas Church in exposed concrete, thus attracting the attention of experts far beyond Mannheim. At that time, he also built his extraordinary residential and artist studio house in the city centre. Like many of his buildings, it now has listed status. Mutschler was an architect with high demands on functional and architectural design. He created very distinctive buildings, some of them free-standing, that nevertheless blend in with the cityscape. Mutschler made important contributions to Mannheim’s urban development with the Herzogenried residential area, which was built at the same time as the Multihalle, and of course, with his improvements to Herzogenriedpark also for the 1975 National Garden Show. In the 1980s and ’90s, his impressive works such as the Reiss-Engelhorn Museums in D5, the Stadthaus [town hall] in N1, and the business and hotel complex in N6 represented highly significant inner city development measures. Mutschler also worked as an expert and consultant on various construction projects and was a long-standing member of Mannheim’s municipal planning committee. Georg Vrachliotis Frei Otto designed the Multihalle as a place for an open society. Now, in the spirit of Frei Otto’s thinking, the Multihalle is being developed into a versatile space of possibilities again. Do you think the Multihalle is a symbol of Mannheim’s common welfare-oriented urban development? Lothar Quast Yes, I do. 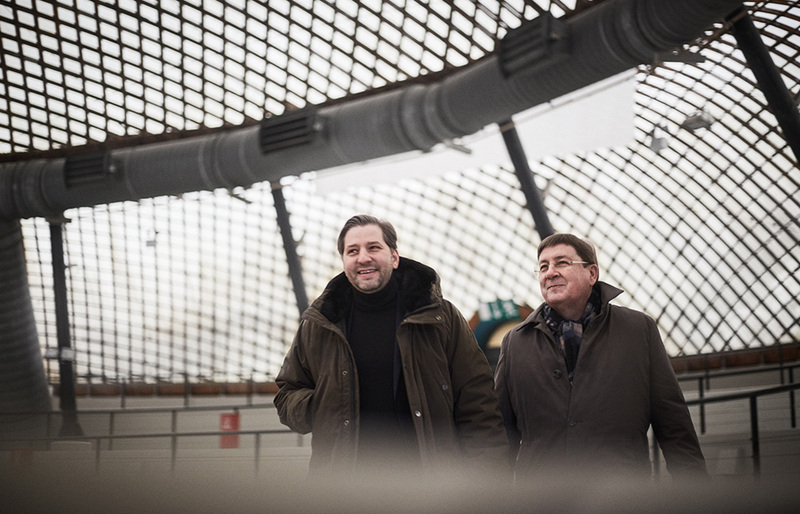 For instance, the city of Mannheim is working with a very engaged group of creative artists, architects, local residents, the general public, engineers and universities to create a sustainable concept for the Multihalle that will ensure its long-term preservation. This open and collectively designed process is unique in this form. The exhibition “Sleeping Beauty – Reinventing Frei Otto’s Multihalle” at the Architecture Biennale in Venice, which you co-organised and co-curated, was a further important part of this process. Georg Vrachliotis With over 50 entries from all over the world, the response to the Multihalle “Democratic Umbrella” Ideas Competition was much higher than expected. It would seem that young architects, in particular, are fascinated by the Multihalle. What do you hope to gain from the submitted ideas? Lothar Quast The Multihalle is very topical right now. We hope that the works of the young architects, in particular, will encourage a continuously experimental approach to the project. We will present the results of the Ideas Competition at the opening of the BUGA 75 exhibition at the MARCHIVUM. The Multihalle has put Mannheim on the map of modern architecture. What’s your own opinion on this potential and how it can be used in future? Georg Vrachliotis Frei Otto was awarded the Pritzker Prize not only for his architectural work, but also for his humanist mindset. Frei Otto saw, in his models, cultural indicators whose meaning often goes beyond the purely physical haptics of the individual object, and that can be understood as experimental symbols for an open society. The Multihalle embodies this like no other 20th century building, thus also making apparent its huge social significance and potential for the city of Mannheim. Like many other German cities, Mannheim lost much of its valuable historical building fabric during the Second World War. Modern architectural monuments such as the Multihalle can successfully close such gaps. 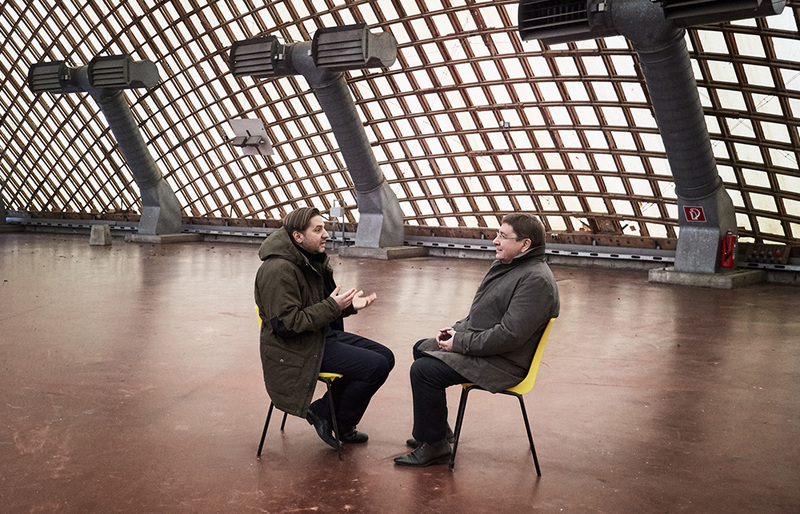 Lothar Quast I agree that buildings such as the Multihalle or the National Theatre stand for a particular architectural language that addresses specific purposes. The theatre as a venue for dramatic arts, for instance, and the Multihalle obviously as a place for a wide range of genres. Both are spaces that, in this age of digitalisation, enable analogue encounters, so to say. Georg Vrachliotis Providing a wider range of offerings is a good point. One of Frei Otto’s key maxims was: “One needs to think, study, develop, invent, and venture more”, and it is quite an apt description of modern urban development in Mannheim. But how do you think can we manage to actively involve the ‘average Mannheim citizen’ in the development process of the Multihalle? Lothar Quast It is actually the task of urban developers to devise answers to the increasingly complex questions relating to our cities. 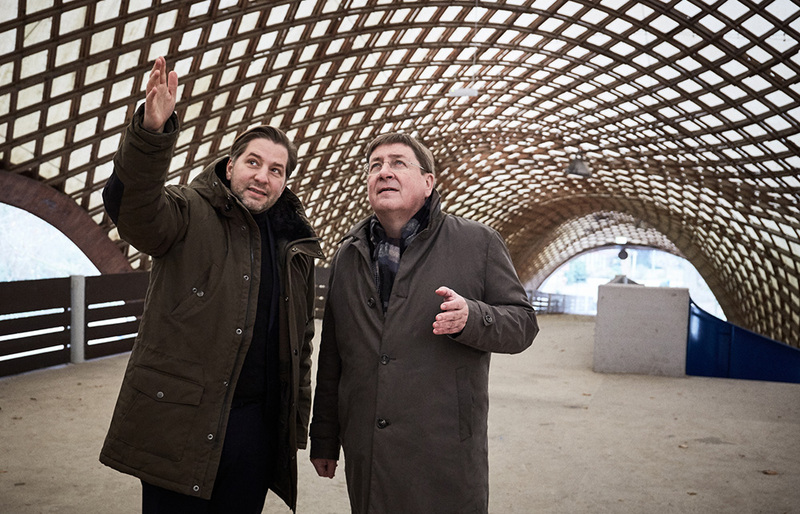 Over the past two years, we have spent a lot of time deliberating on the future of the Multihalle with architects and experts and we have observed huge international interest along the way. But I think it is extremely important to also win and maintain the support of the people of Mannheim. We specifically want to actively involve the residents of the Herzogenried and Neckarstadt districts as well as everyone else in Mannheim in this matter. Georg Vrachliotis I think the best solution would be a utilisation and operating concept that, once refurbishment has been completed, makes the hall a truly open platform for all kinds of different users – for everyone, in fact. Lothar Quast Yes, the future utilisation concept of the Multihalle will essentially be developed from the citizens’ ideas. At the Citizens Days in September 2018 we managed to involve the locals in a very constructive and creative way and even on an emotional level. We now want to build on the outcomes from these three important days. Georg Vrachliotis In 2018, the European Commission launched its “European Cultural Heritage Year – Sharing Heritage”. What do you expect from the programme of events at the Multihalle that will begin this spring? Lothar Quast The municipal division for building affairs and the cultural urban development division jointly submitted an application “Eutopia Multihalle – A Forgotten Utopia as a Model of Cultural Urban Development” – and we were subsequently granted co-financing for the programme of events. We can therefore now move ahead with ‘reinventing’ the Multihalle with events where public relations, information events, co-creation and culture overlap. So-called low-threshold events can serve as door openers. I think we can now all look forward to a very exciting summer in the Multihalle. 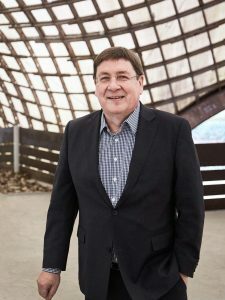 Lothar Quast, a qualified lawyer, has been Mayor and head of Division IV for building, planning, infrastructure, urban renewal, social housing, traffic and sport of the city of Mannheim since 1989. In 2017, he became chairman of the Multihalle e.V. Association that is dedicated to preserving and redeveloping the Multihalle. Georg Vrachliotis is a professor of architecture theory and head of the Südwestdeutscher Archiv für Architektur und Ingenieurbau (southern German archive for architecture and civil engineering, ‘saai’) at the Karlsruhe Institute for Technology (KIT). He is the author of several publications on architectural history, as well as books such as “Frei Otto. Carlfried Mutschler. Multihalle” and “Frei Otto. Thinking by Modeling”, both published by Spector Verlag, Leipzig.